Florida Governor Rick Scott (R) has selected Carlos Lopez-Cantera as the new Lieutenant Governor. Lopez-Cantera, 40, will be the state’s first Hispanic lieutenant governor and the first person from Miami-Dade to hold the position since it was re-established by voters over 45 years ago. He replaces Jennifer Carroll, who resigned last March. 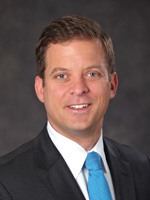 Lopez-Cantera, a former state House Republican leader who served in the state House for eight years before winning the appraiser’s position in a nonpartisan Dade County-wide election in Florida-Politics. Born in Madrid and raised in Miami, Bilingual, Lopez-Cantera served in the state house from 2004 to 2012, when he was forced out by term limits. Lopez-Cantera should be well received by Hispanics, who make up a large and growing segment of the Florida electorate. In his first interviews shortly before his appointment was announced in Miami, Lopez-Cantera said he took the job with assurances that he would have input on policy decisions. Lopez-Cantera will take office Feb. 3, 2014 as another milestone in Florida-Politics occurs. Copyright © 2016 Florida Politics. All rights reserved. Powered by Florida-Media-Link. and The Link Related Companies.